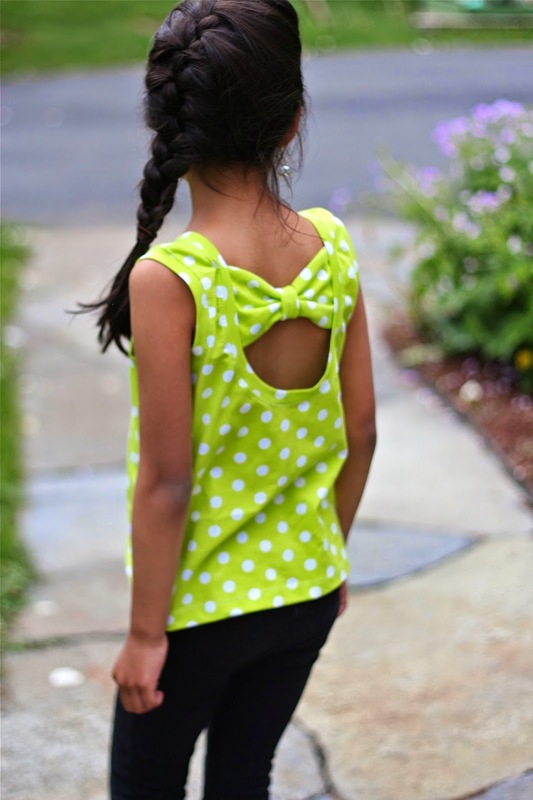 I've been trying to work through my fabric stash and in the process, make some new clothes for my kids. And, if I'm being totally honest, I'd love to make room for some new fabric! I'm trying not to buy anything new, until I use up some of the old stuff. 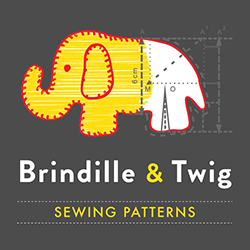 So I cam up with a little pattern hack to help the process. 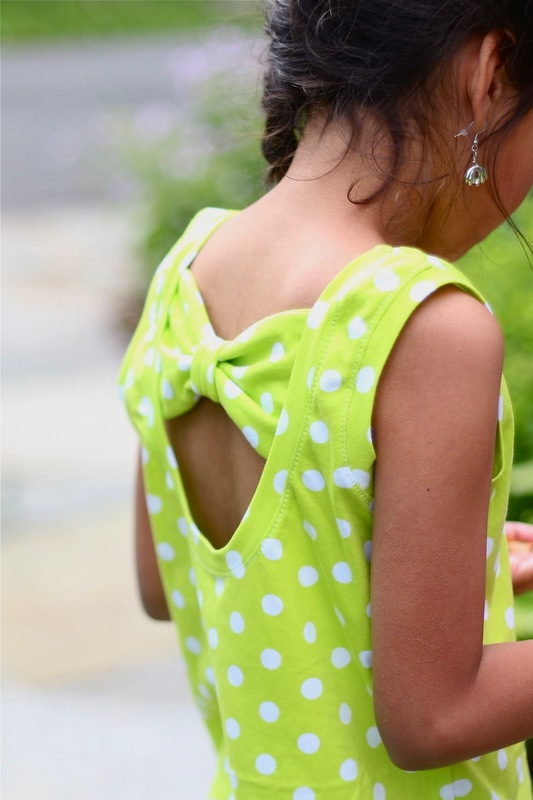 I bought a cute scoop back tank from Old Navy for my daughter and decided to recreate it with a little bow in the back. 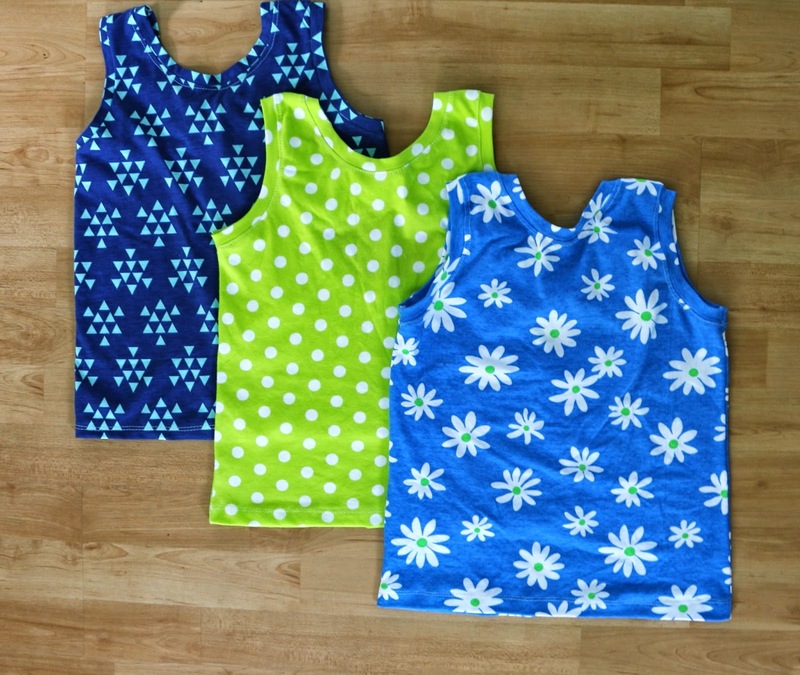 I started with a free tank top pattern from Scattered Thoughts of a Crafty Mom. Mine is a size 8. 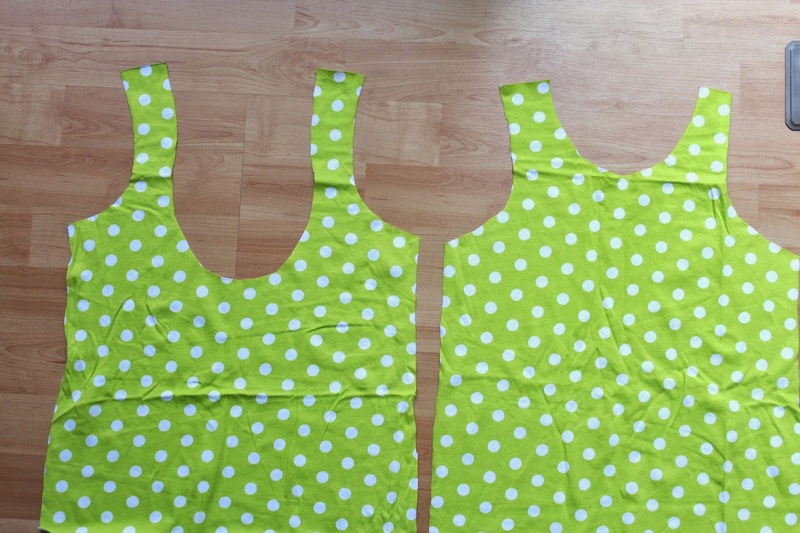 I used the pattern to cut a front and a back, but on the back piece, I cut an extra deep scoop. 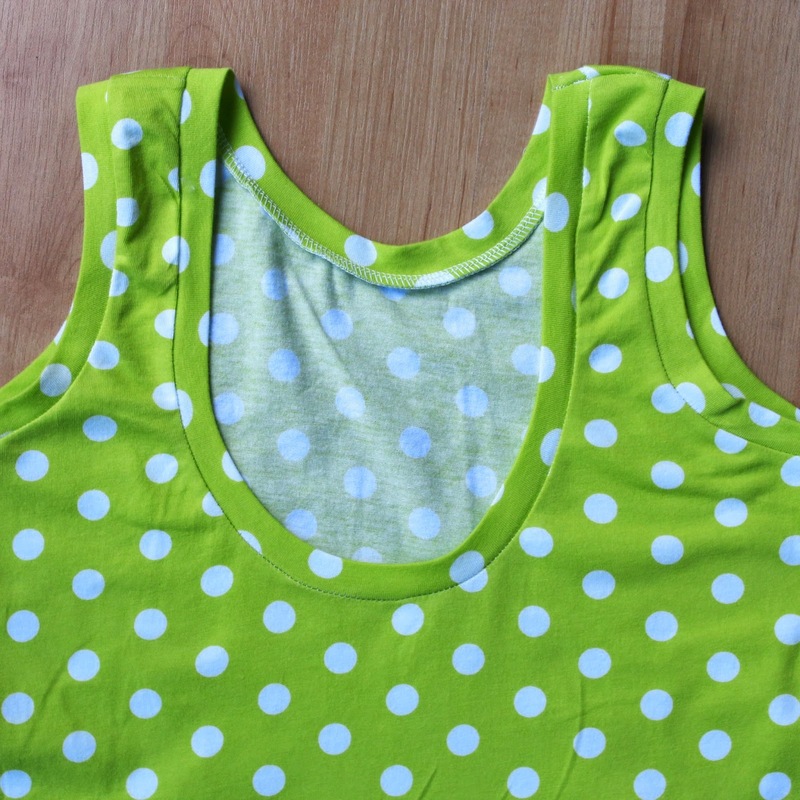 I do my finishing/binding a little differently than the tank top tutorial shows. I cut a strip of fabric that is 1.75 inches wide, iron it in half and then sew it to the raw edge of the neck, stretching it slightly as I go. Whether you do it my way or bind it like the original tutorial shows, you'll have to cut the binding longer. I didn't give a measurement because it depends on how deep you cut the scoop. I always make my binding longer and then just cut off whatever extra I end up with. I sewed the shoulder, then added binding to the arms. 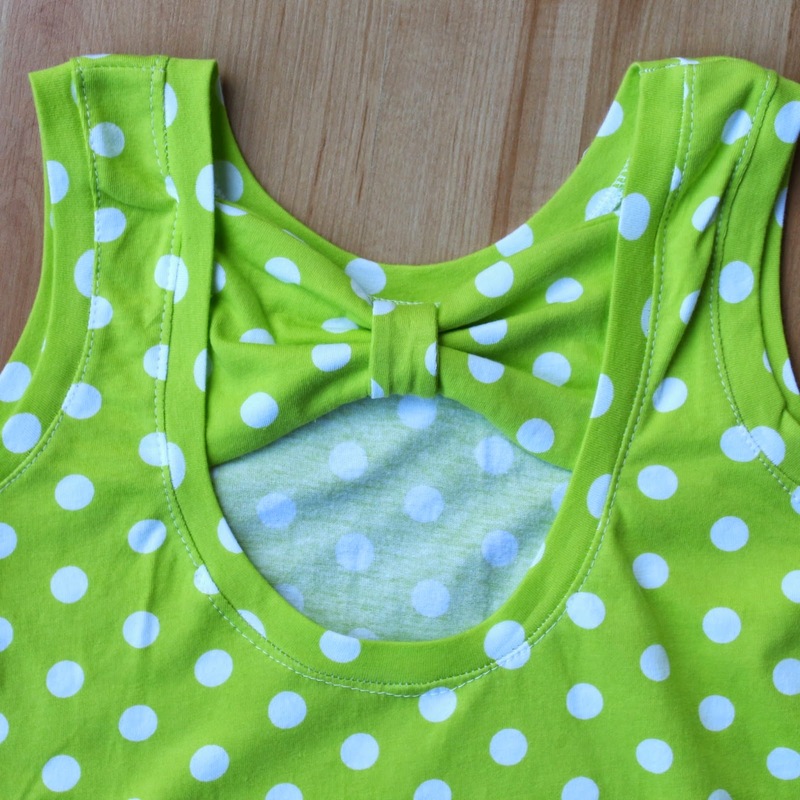 You'll want to add your bow before sewing the side seams. You can do it after, but it's a little harder to manipulate. 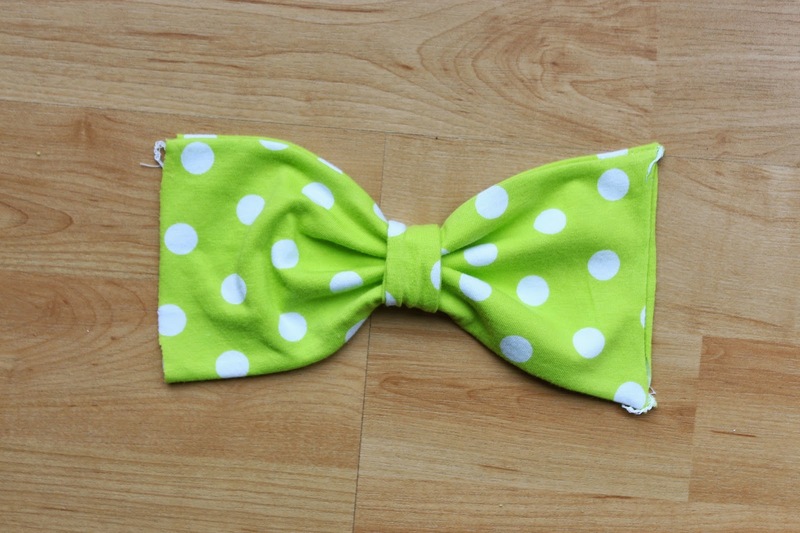 To make the bow, cut 2 pieces of fabric that are 8x6 inches for the bow, and 2 pieces that are 1.5x4 inches for the center. 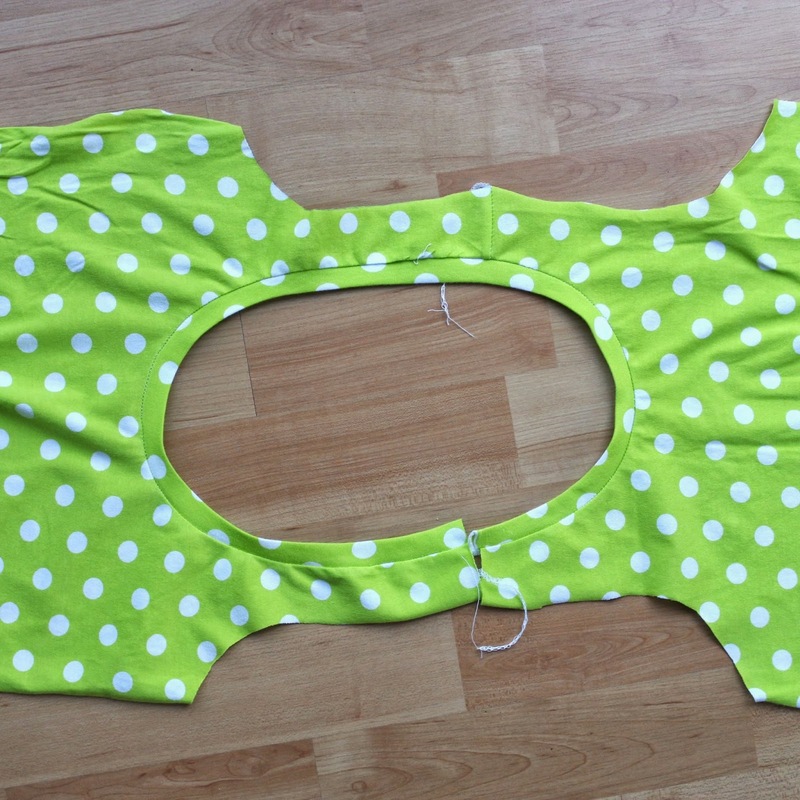 With right sides together, sew along each raw edge with about 1/4inch seam allowance. Turn right side out. 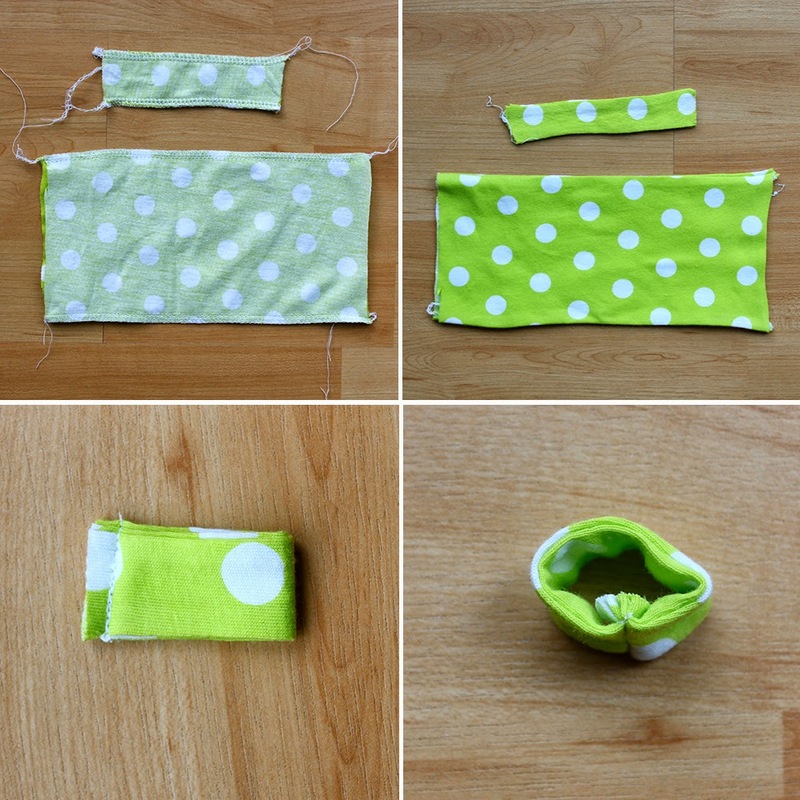 Fold the center piece in half lengthwise and sew with a 1/4 inch seam allowance. Turn so that raw edge is on the inside of the loop. 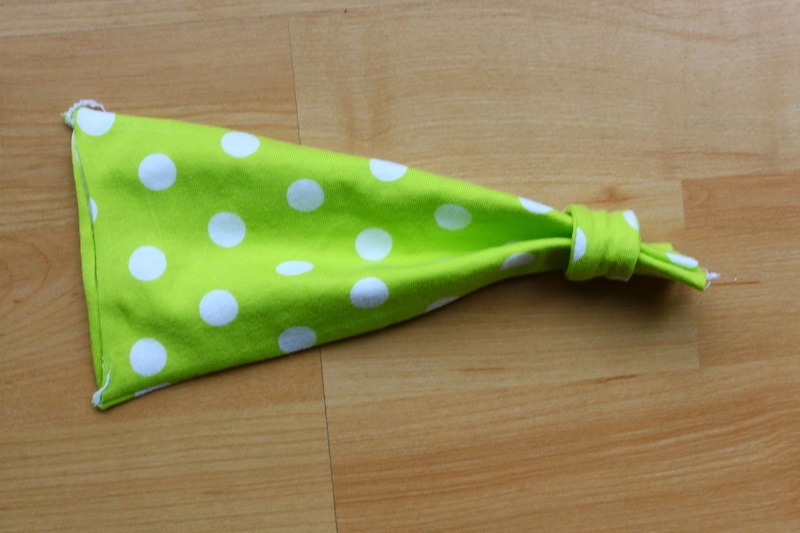 Pull the bow fabric through the center piece. Adjust the center piece to make a nice bow. 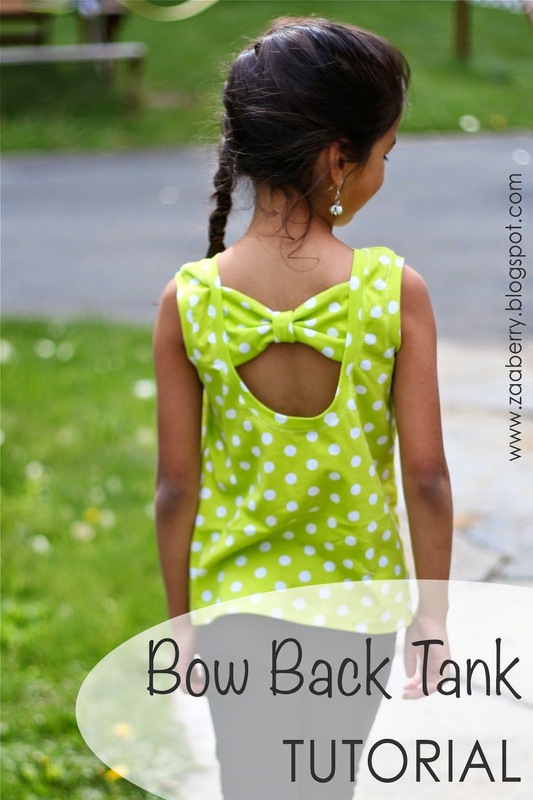 Pin the bow in the back scoop neckline (I forgot to take a photo of the pinned bow). 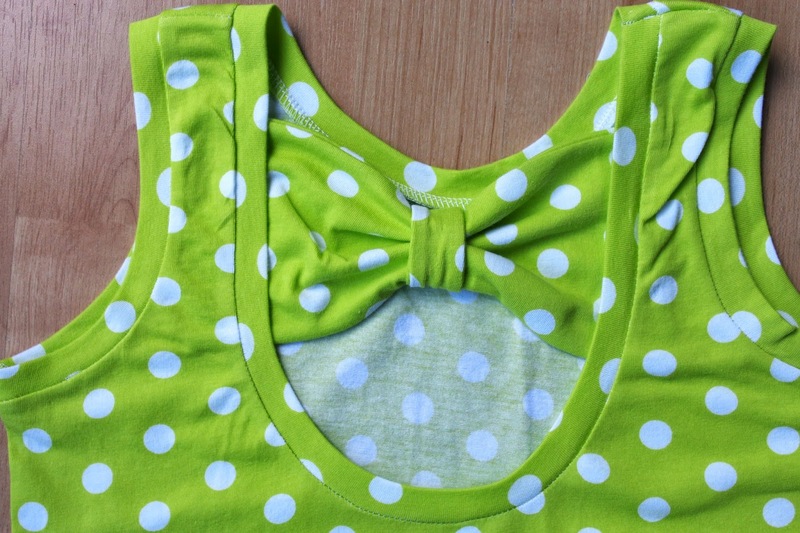 Top-stitch around neckline, making sure to catch the edges of the bow in the stitching. Sew the sides seams and hem. Super easy! I made 3 in about an hour. And the girl loves them! Really cute and helps her stay cool. Ohhh very very lovely!!!! Thanks for the tuto!! I completely love these! Thanks for the instructions and photos; I can't wait to make some. I just made one of these for my daughter and have a question. How do you get the back trim to lay flat? Mine puckers and you can see my serger threads inside. :( Very cute top otherwise! I just need to know the trick!